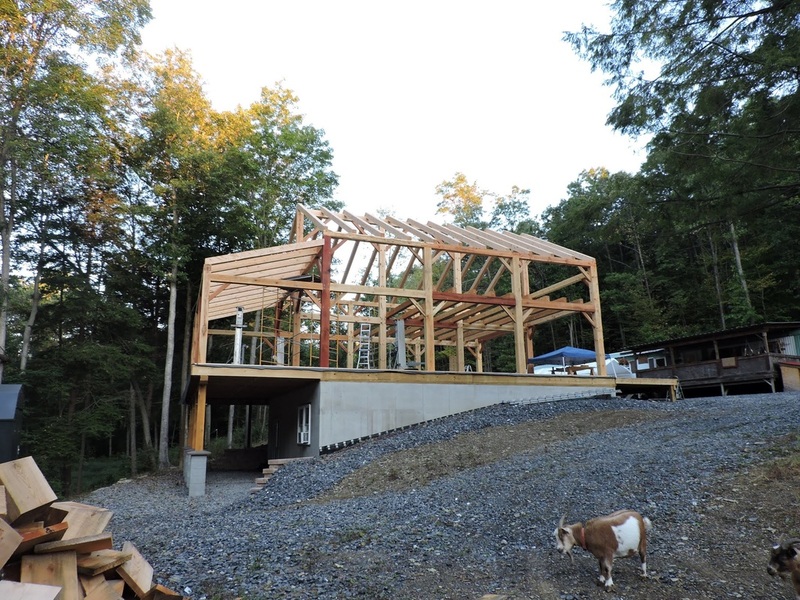 This sunny addition has three sliding glass doors, large windows, green concrete floors, and a timber chunk staircase. 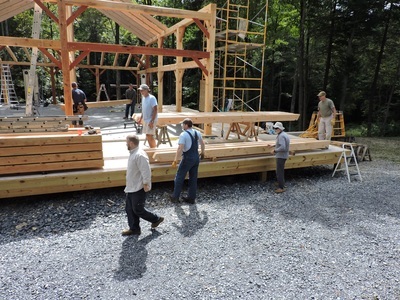 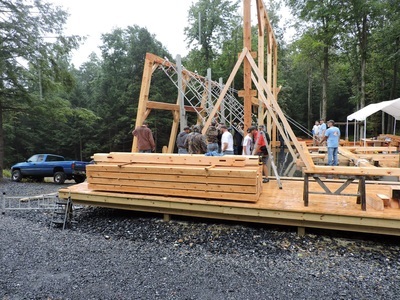 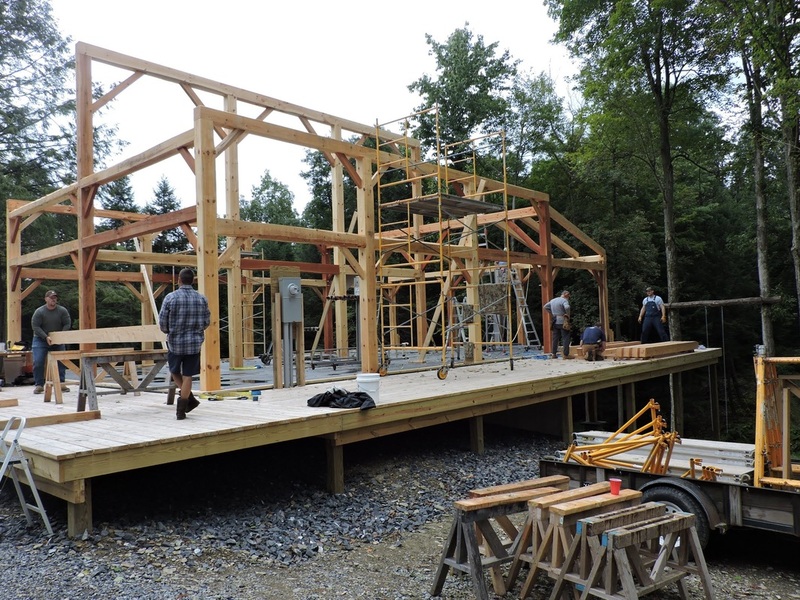 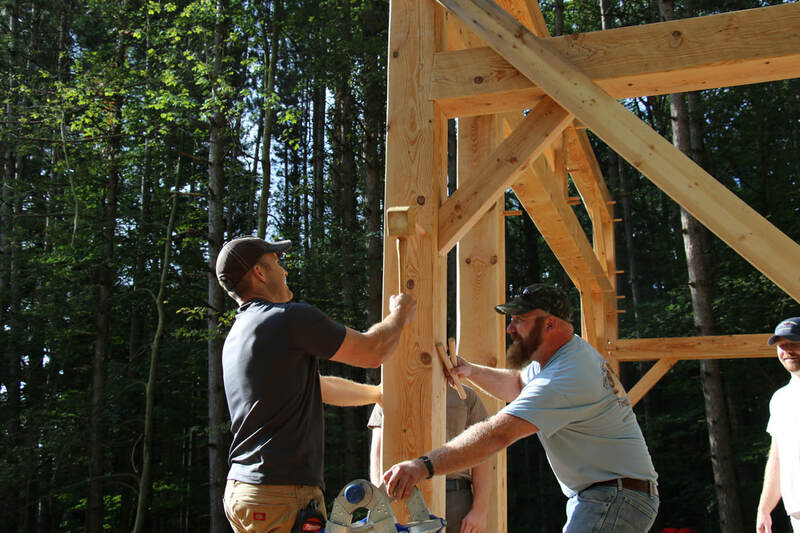 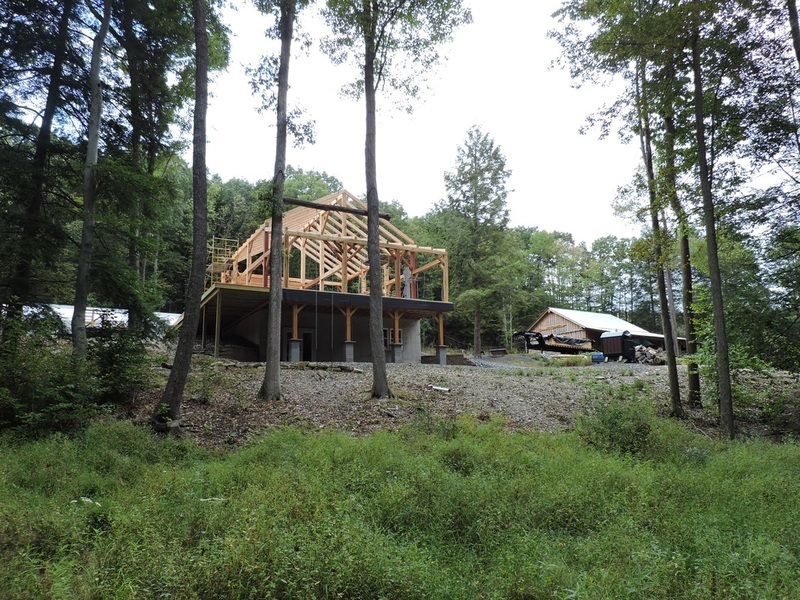 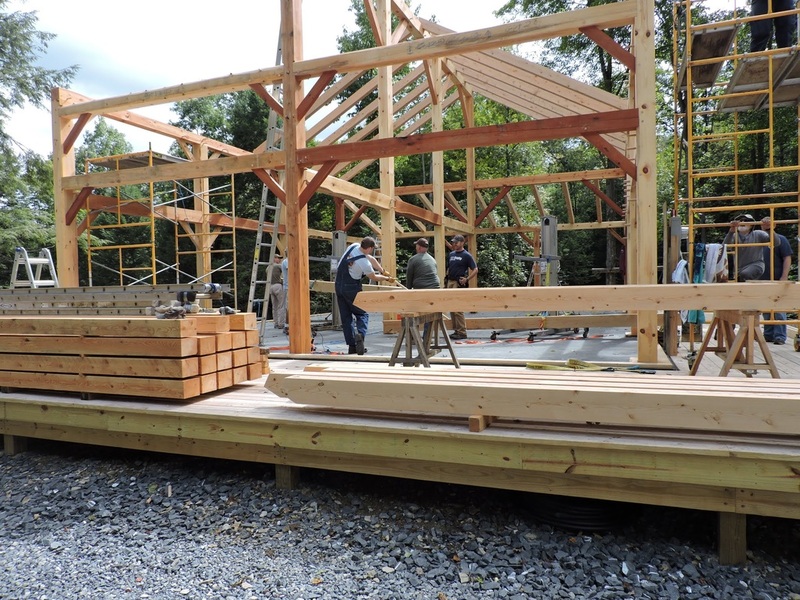 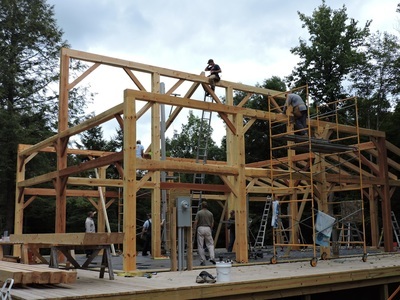 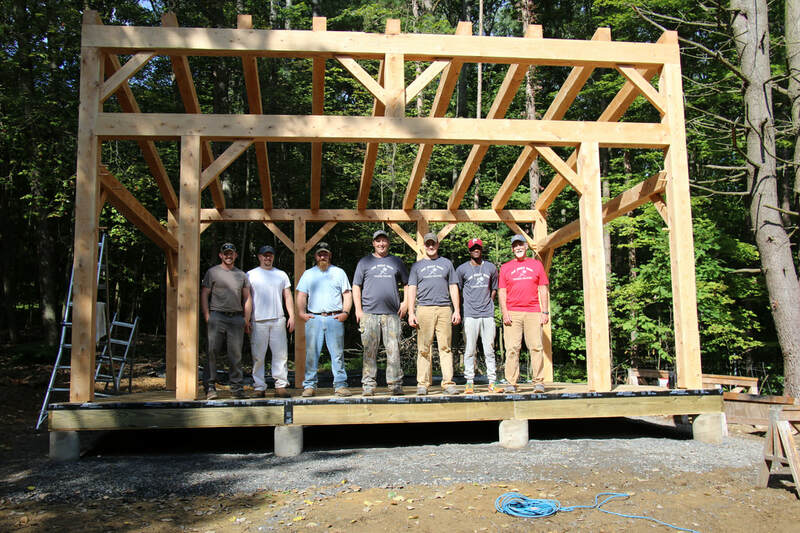 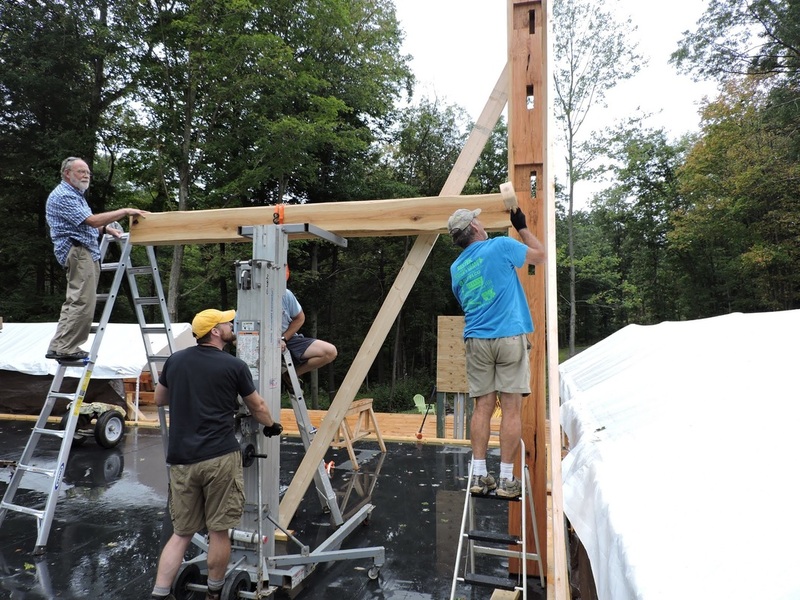 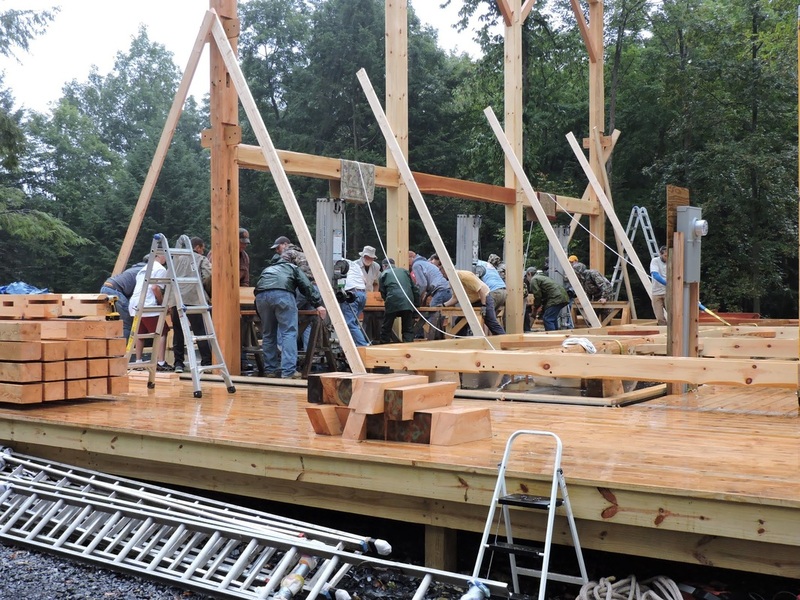 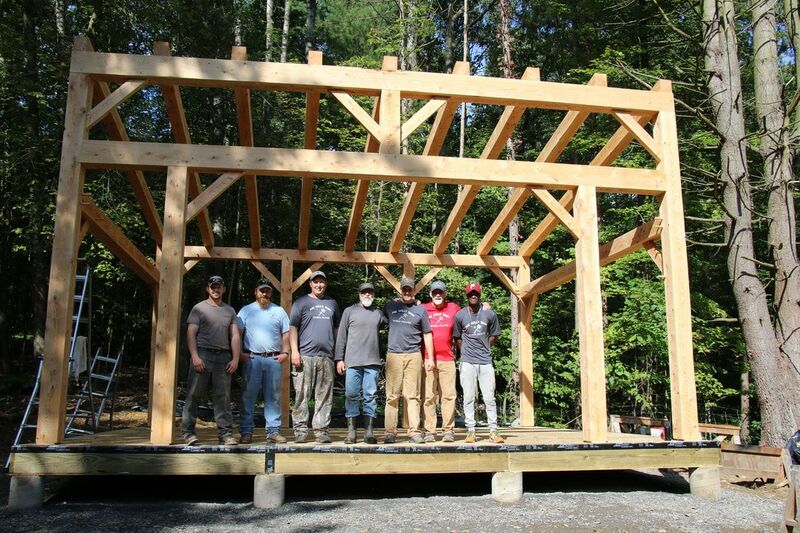 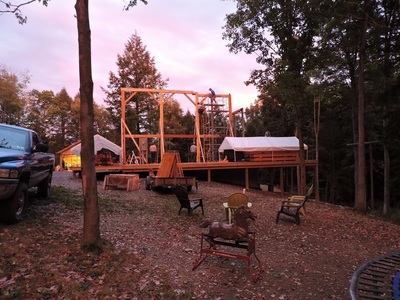 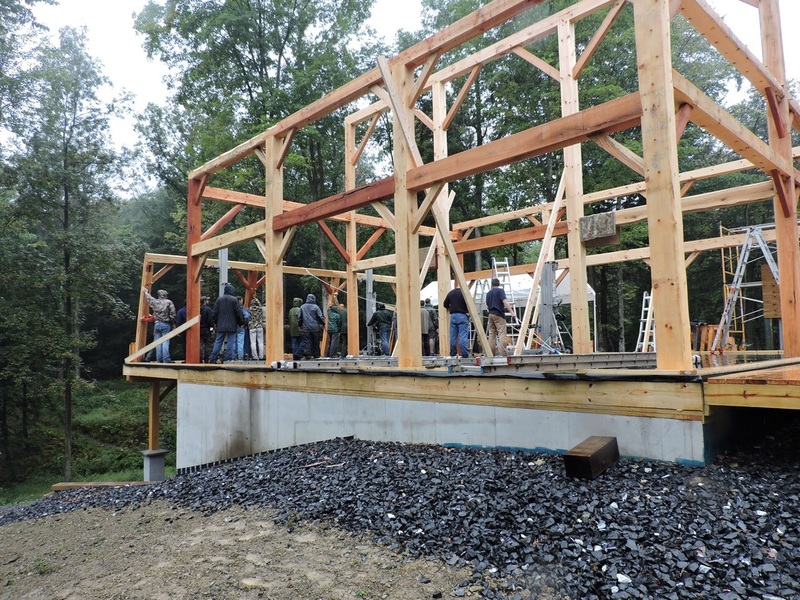 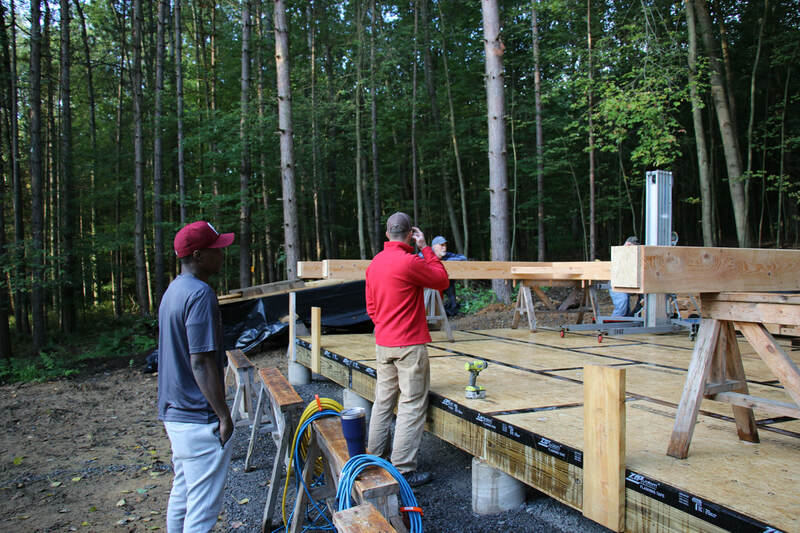 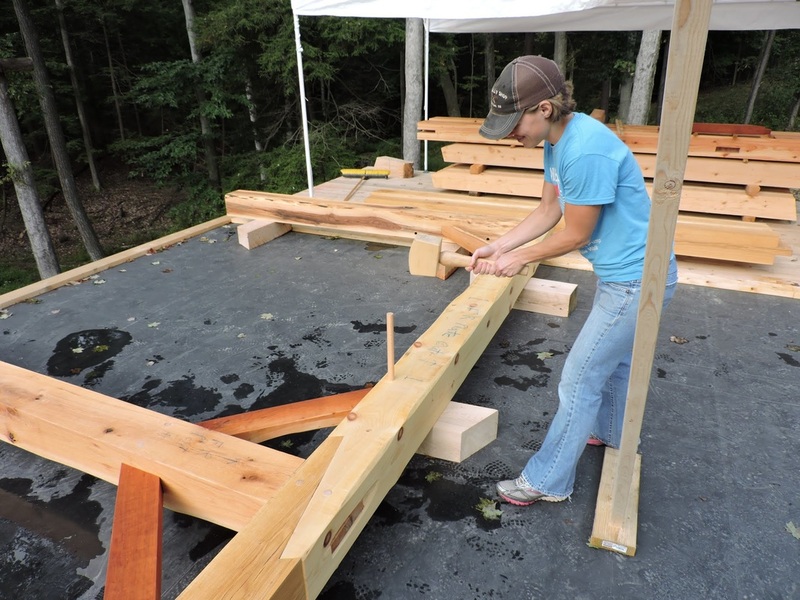 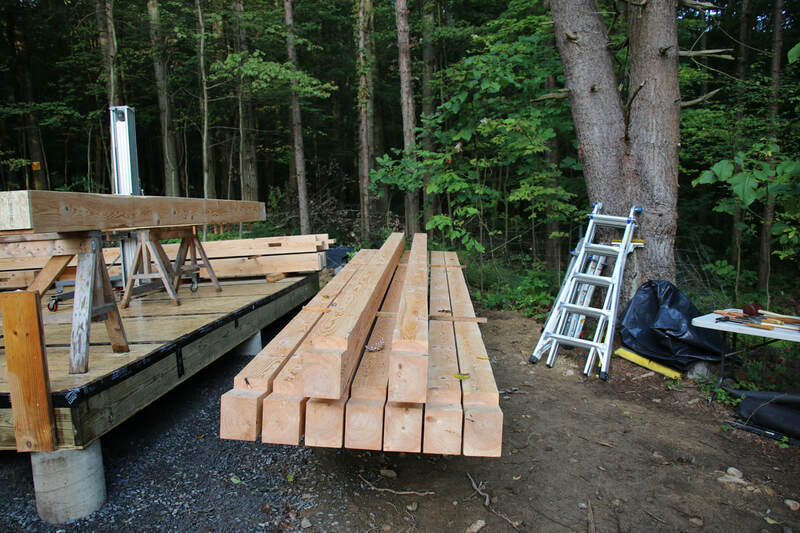 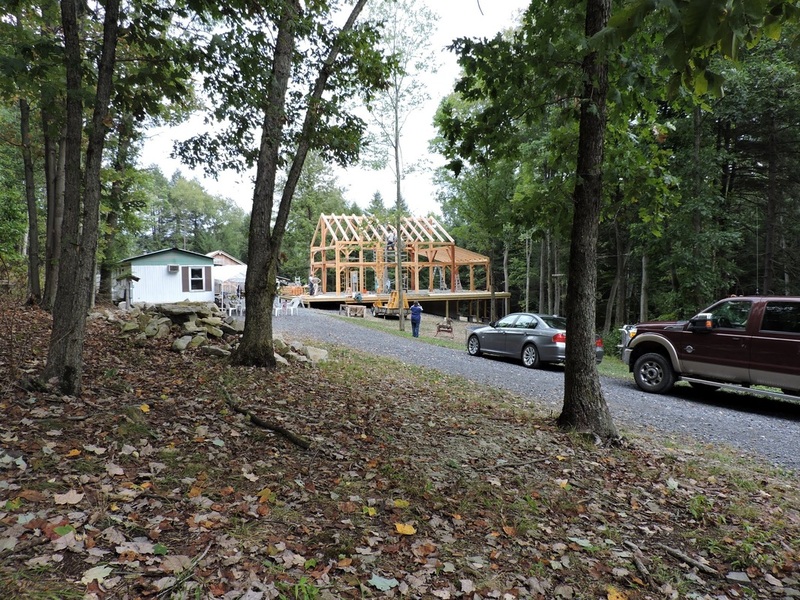 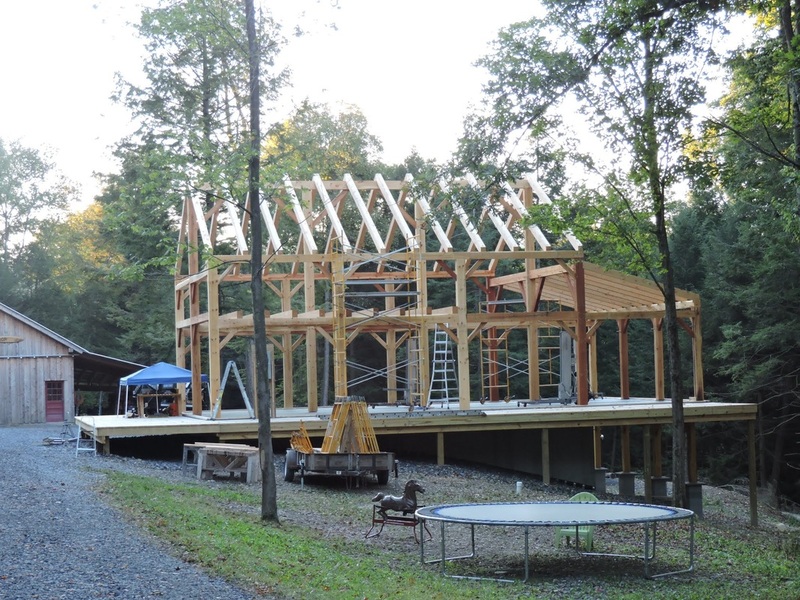 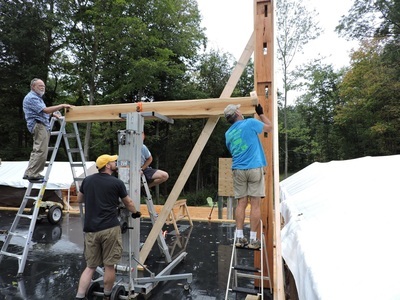 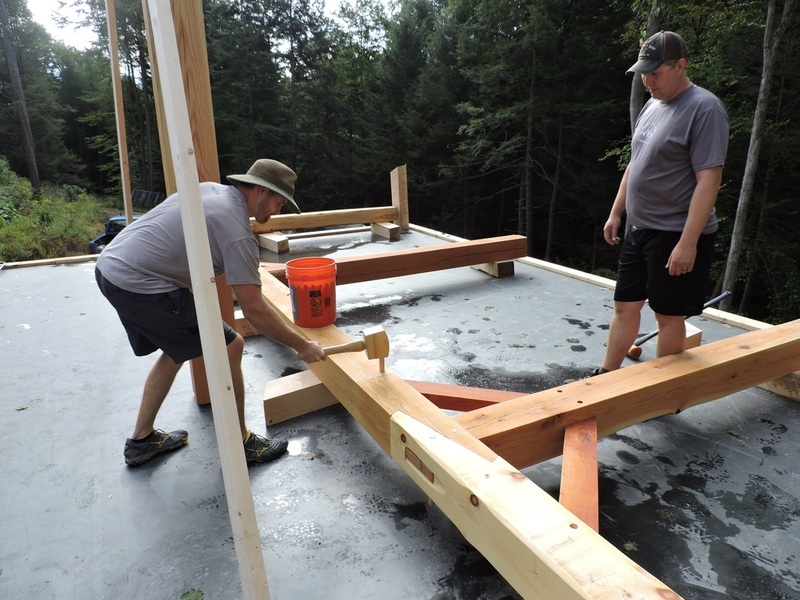 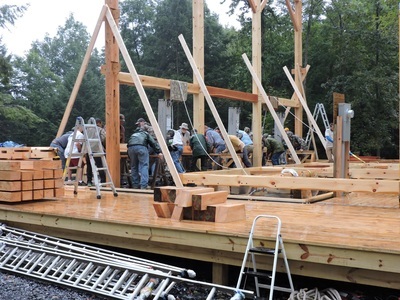 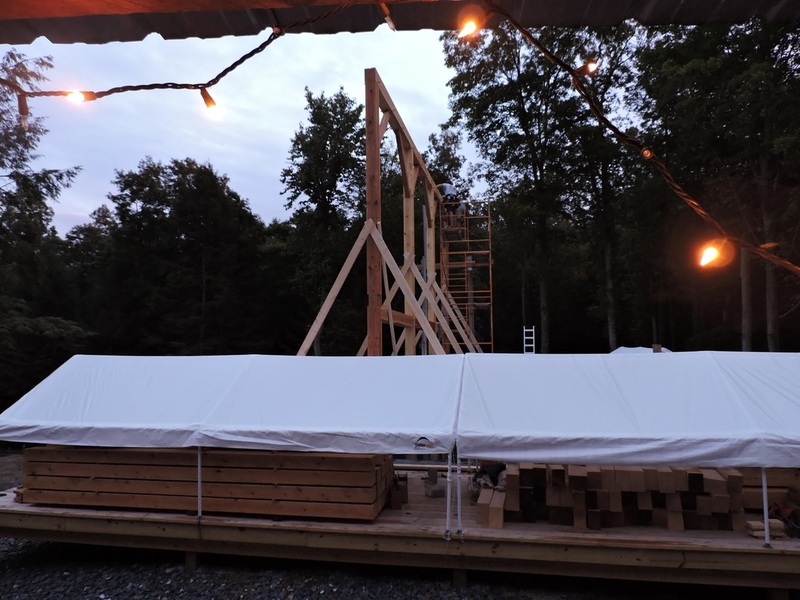 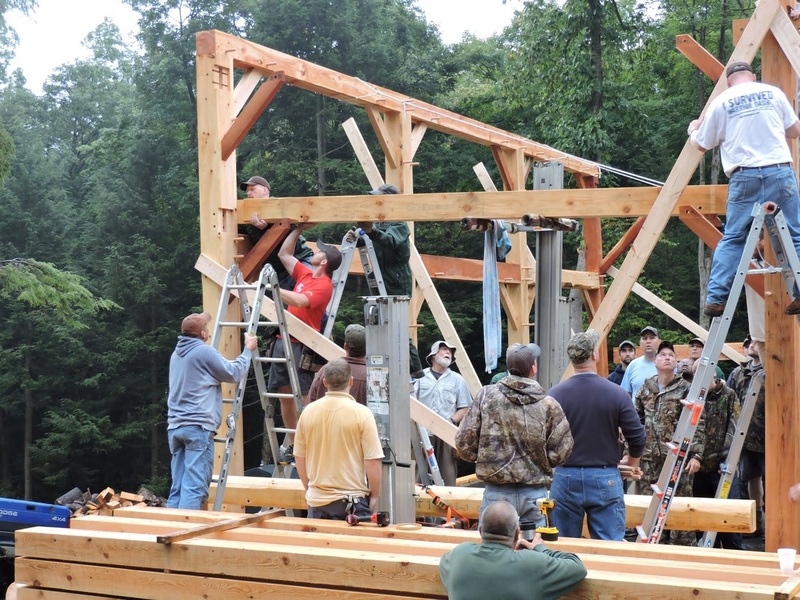 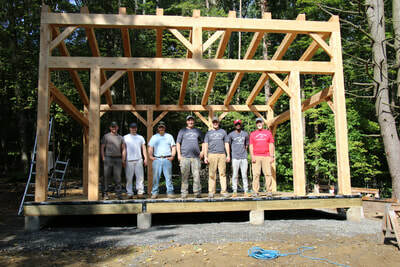 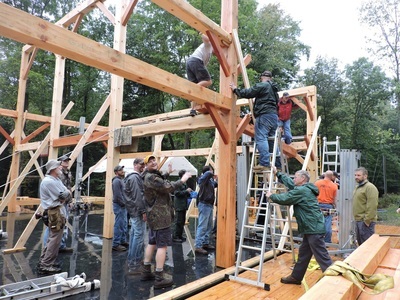 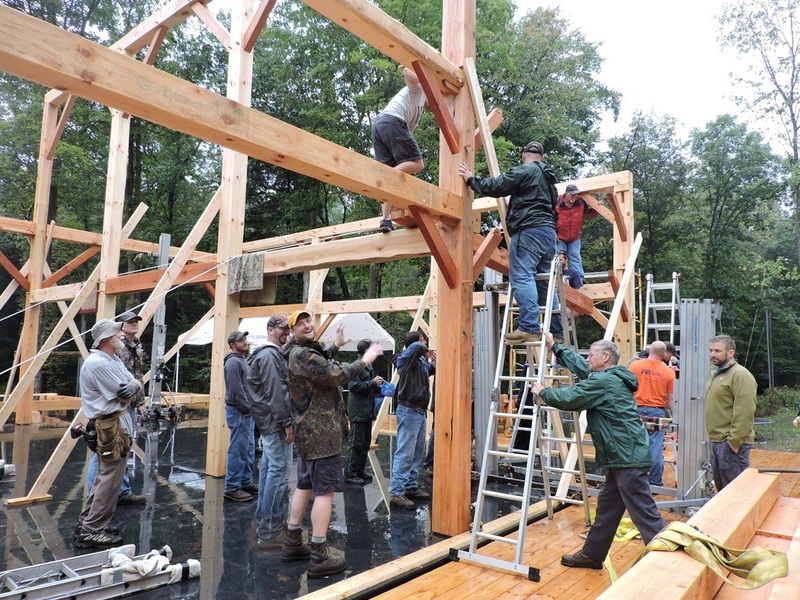 The King's Project is a white pine frame for their new construction home. 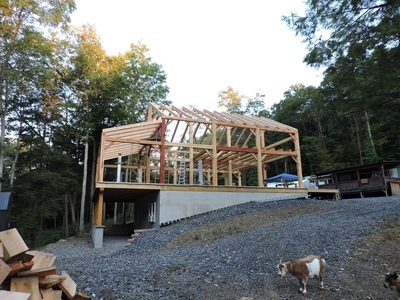 It is a 28' x 29' great room, kitchen, living, and dining space. A small loft serves as their entry into the stick-built, upstairs bedrooms. 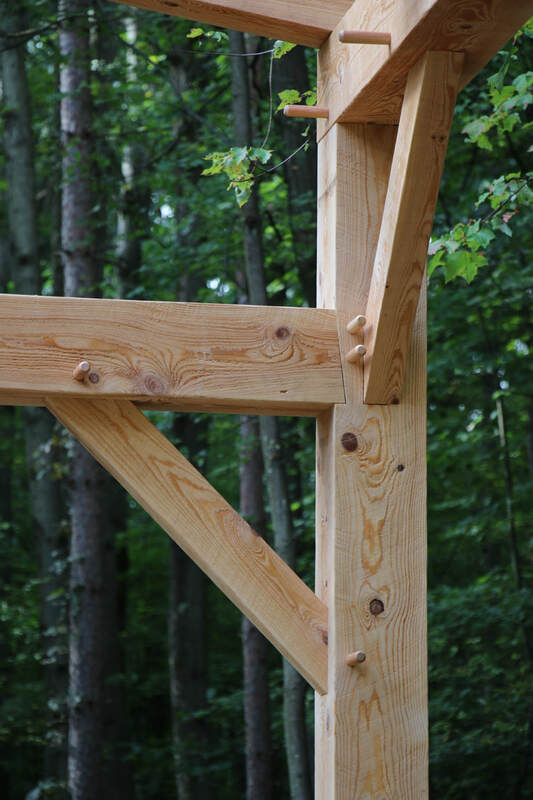 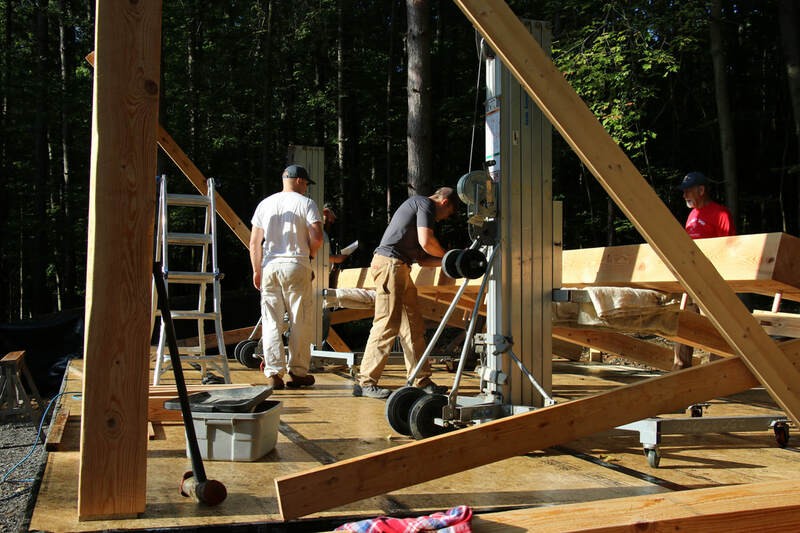 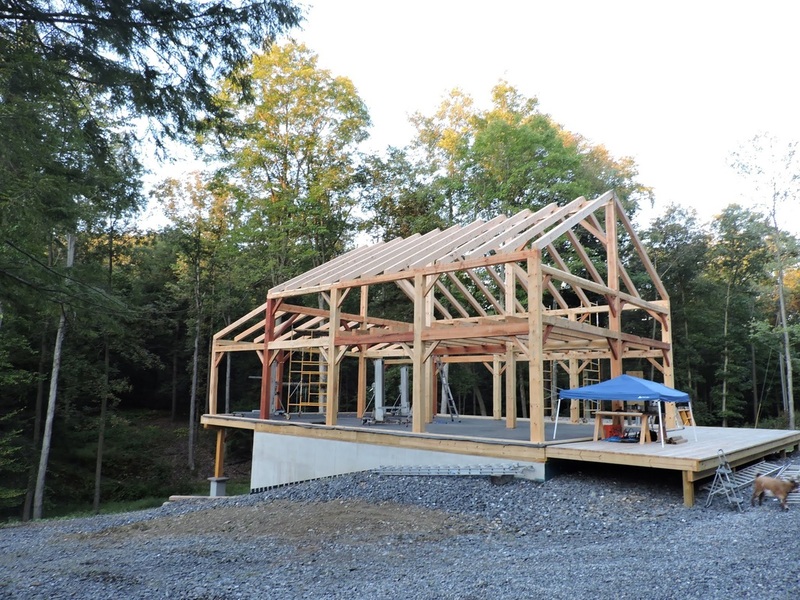 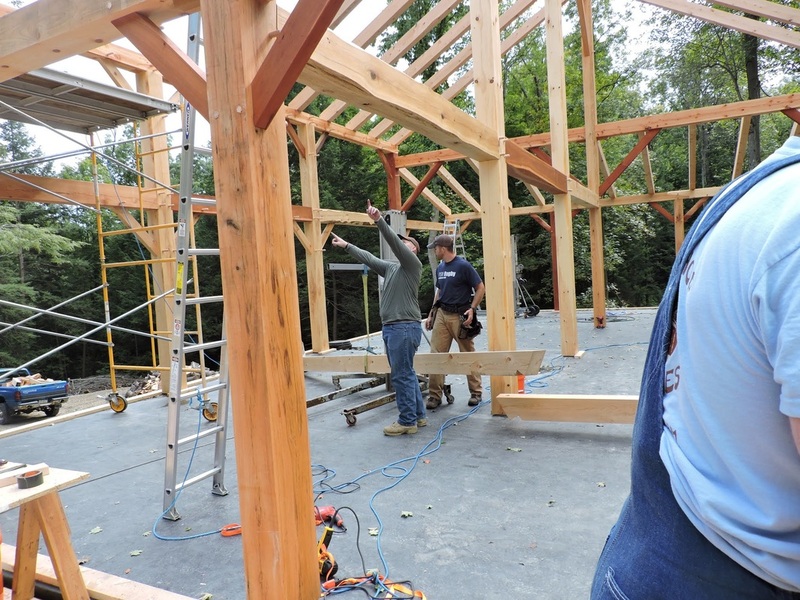 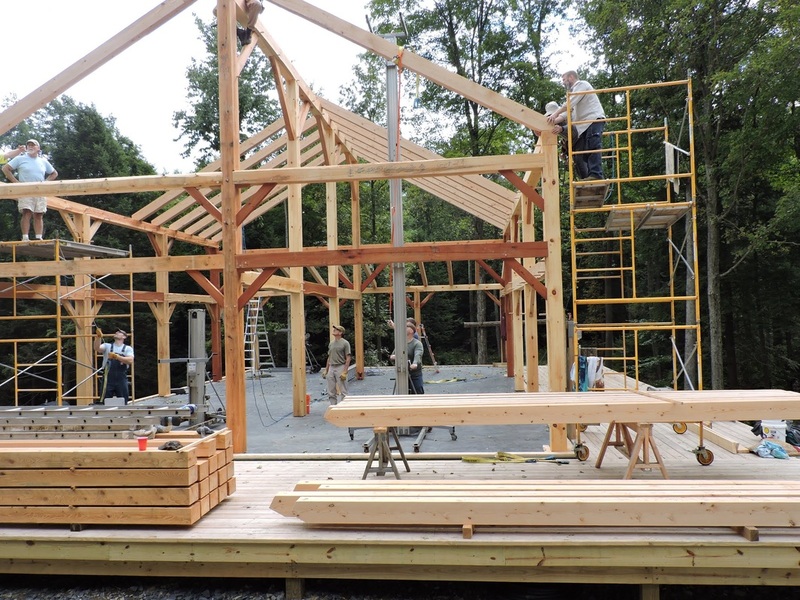 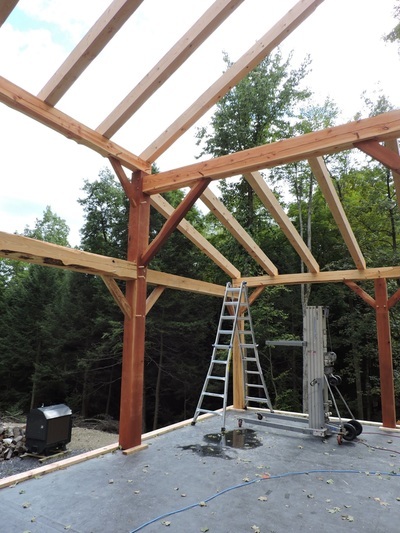 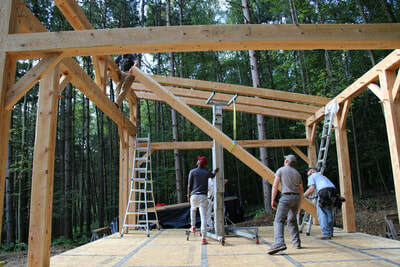 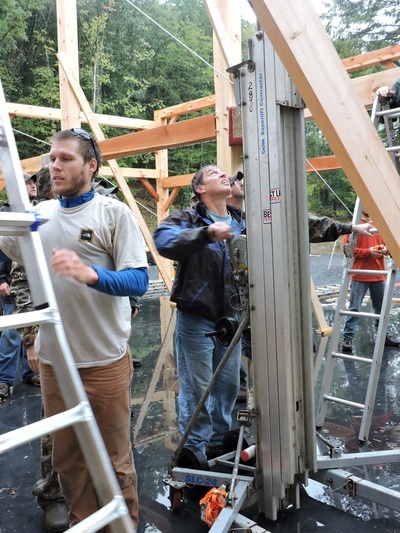 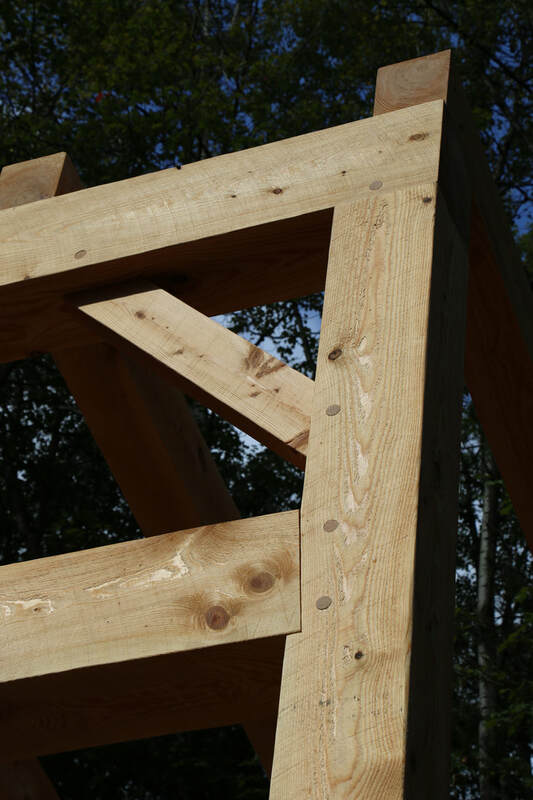 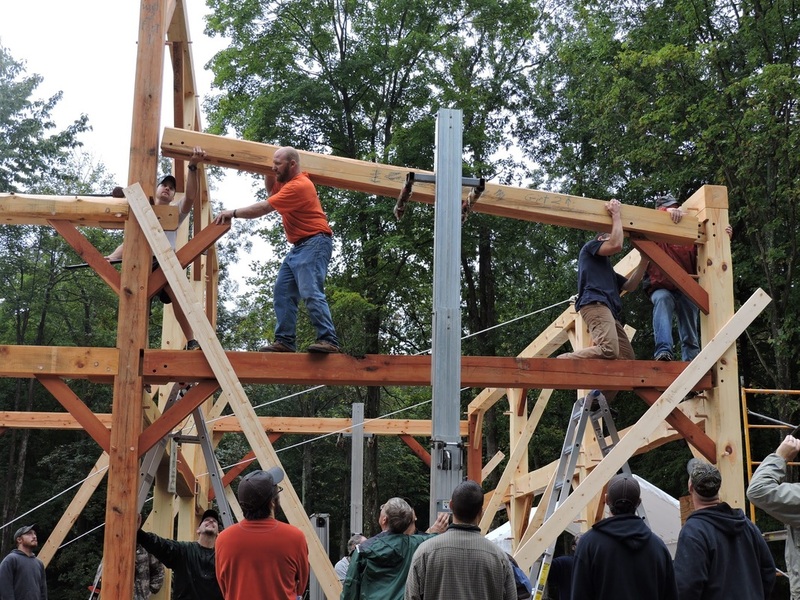 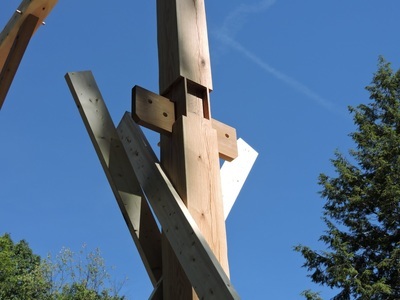 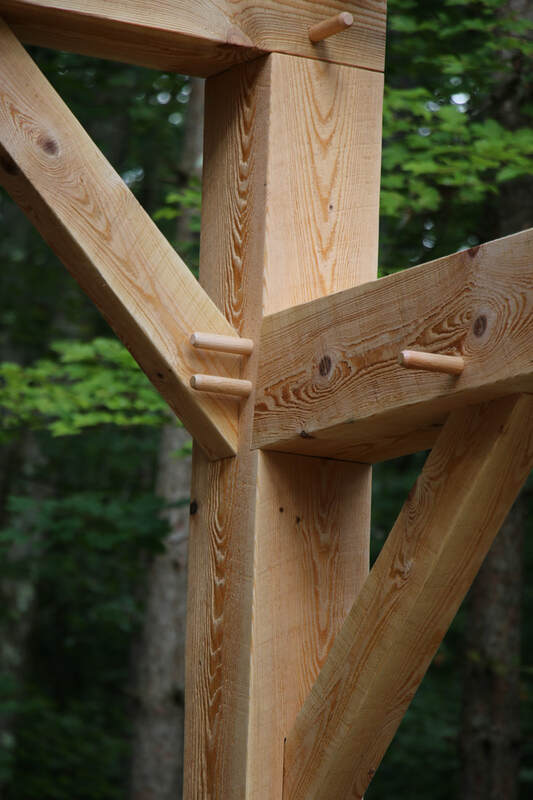 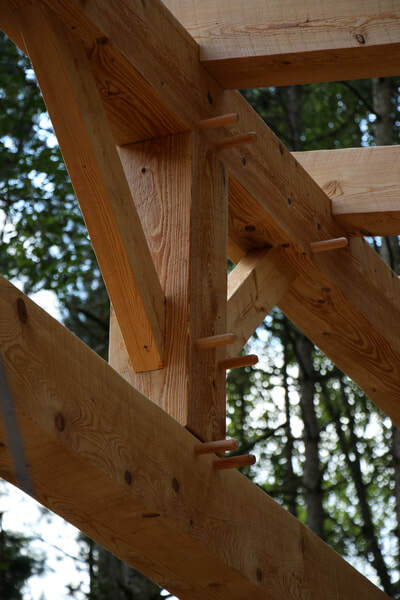 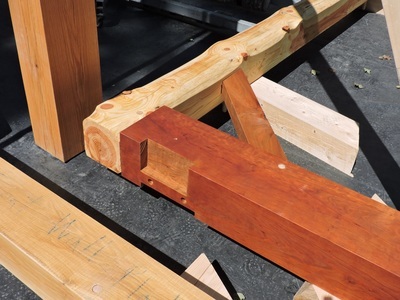 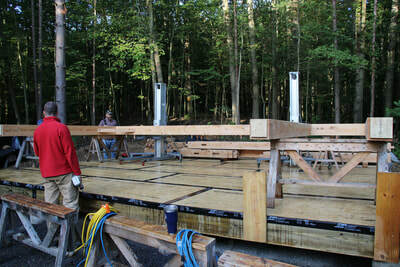 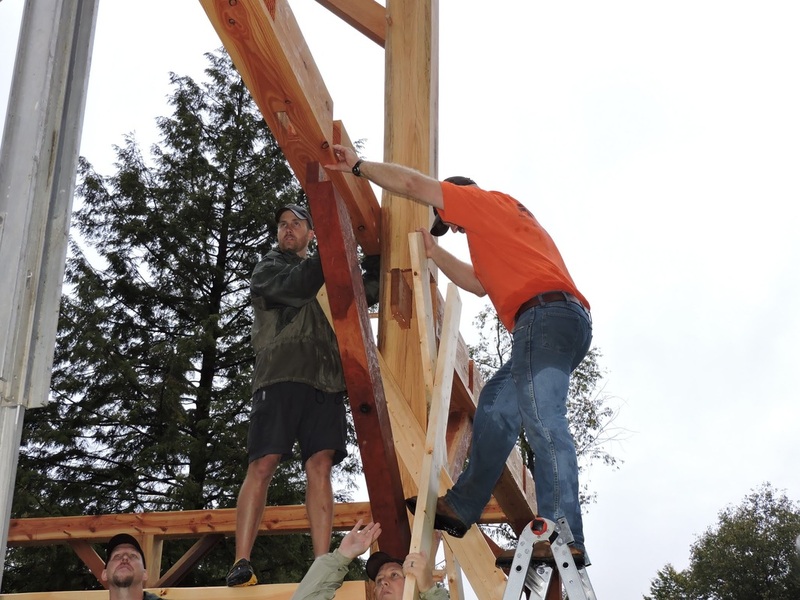 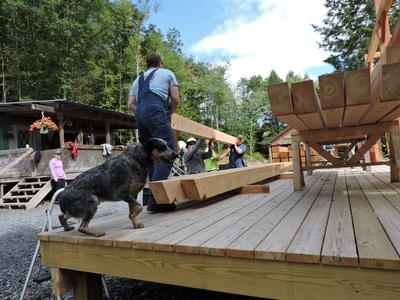 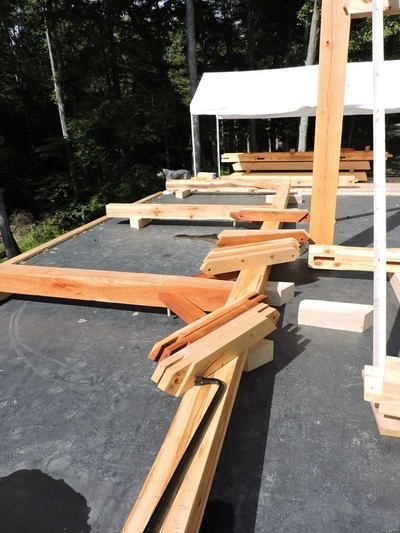 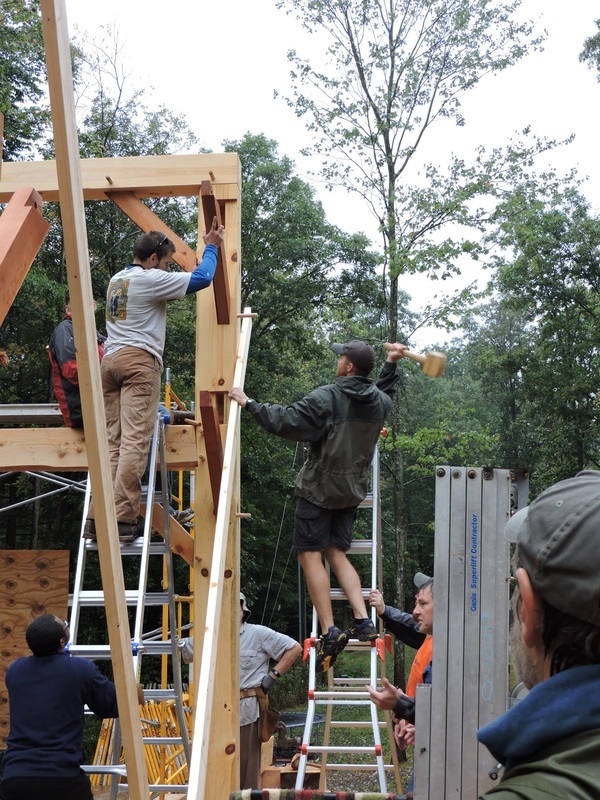 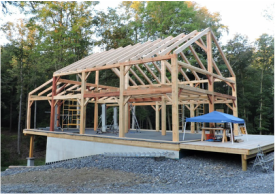 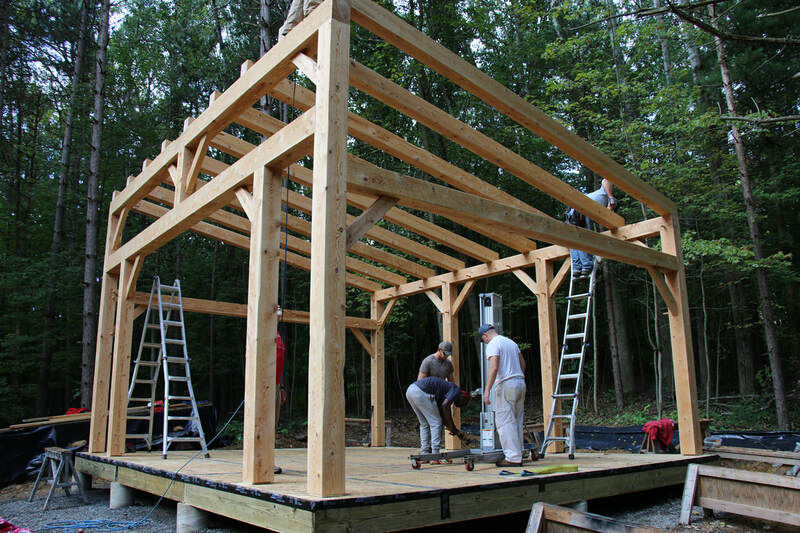 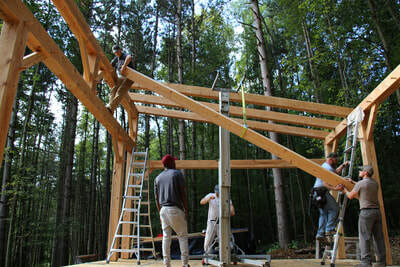 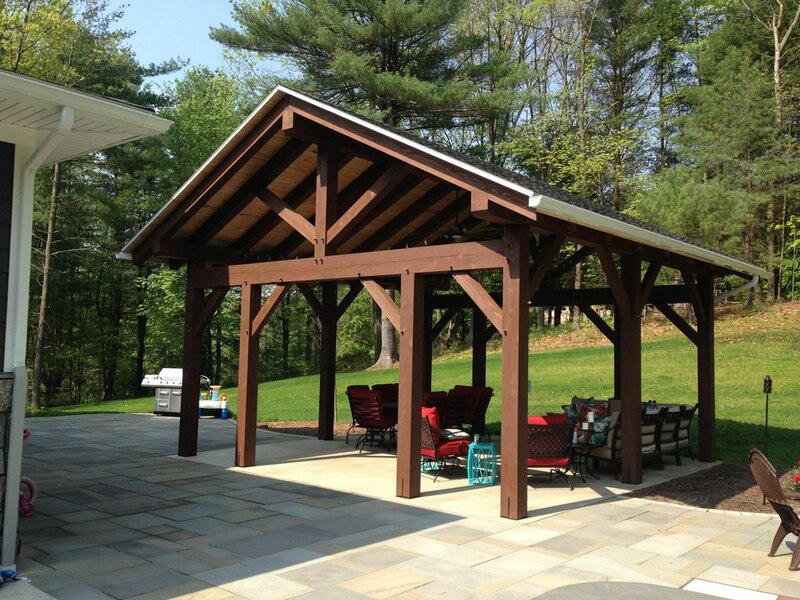 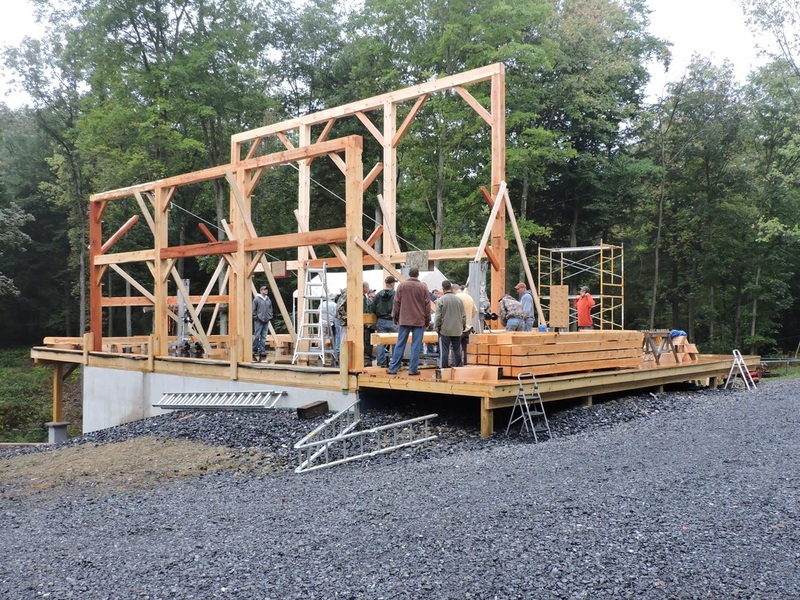 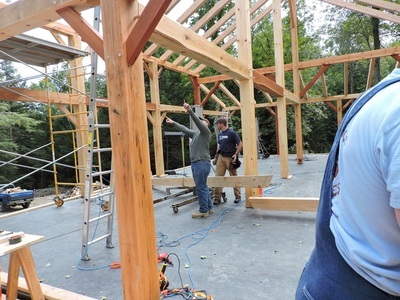 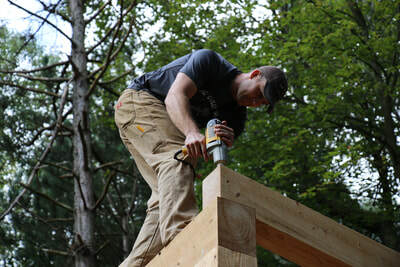 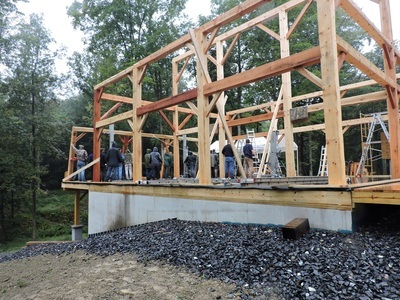 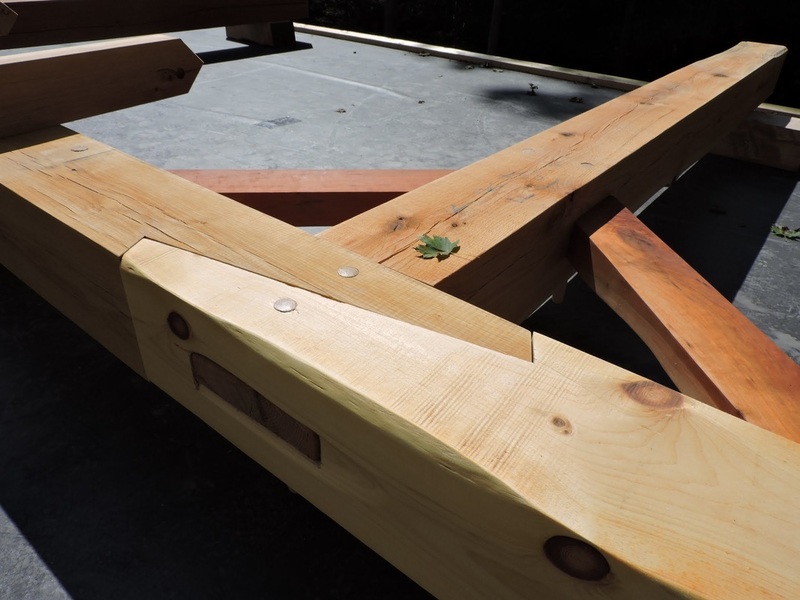 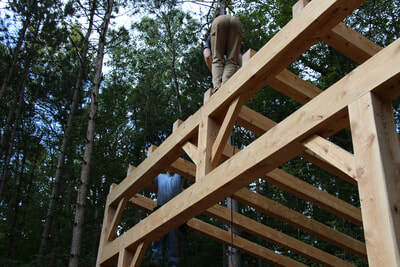 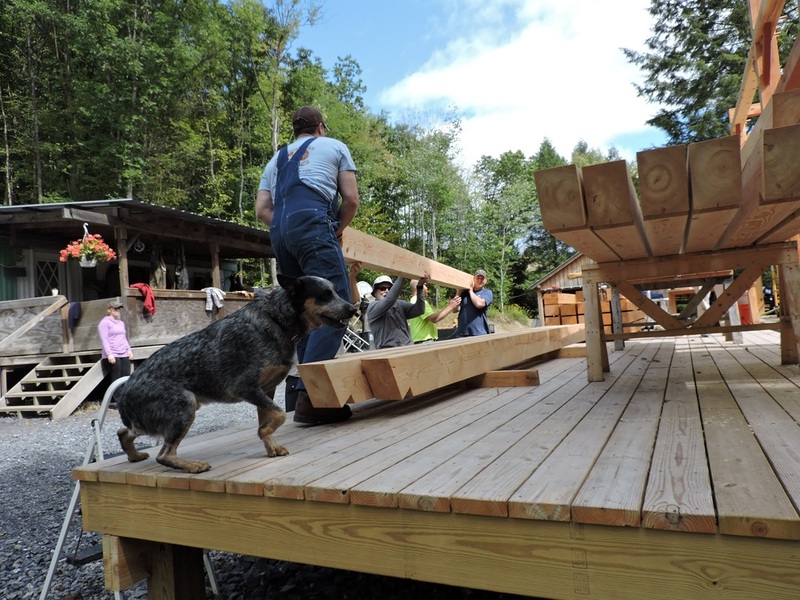 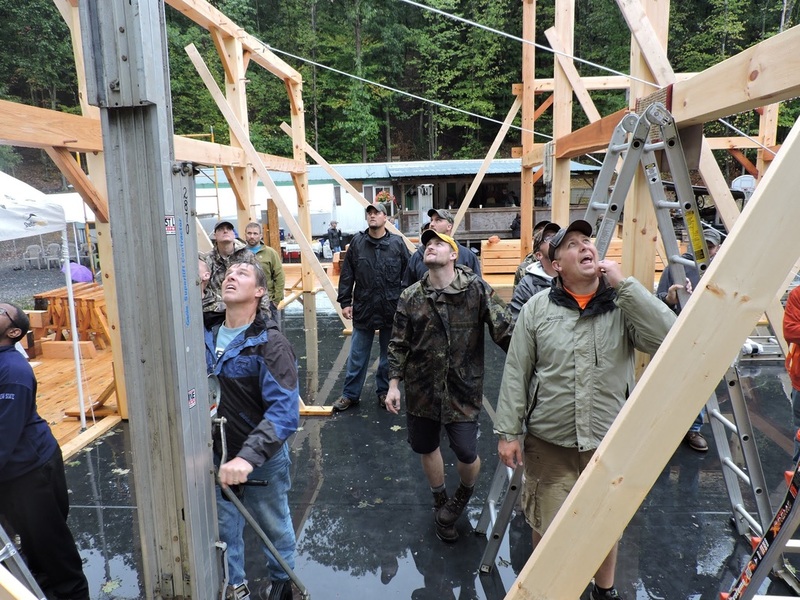 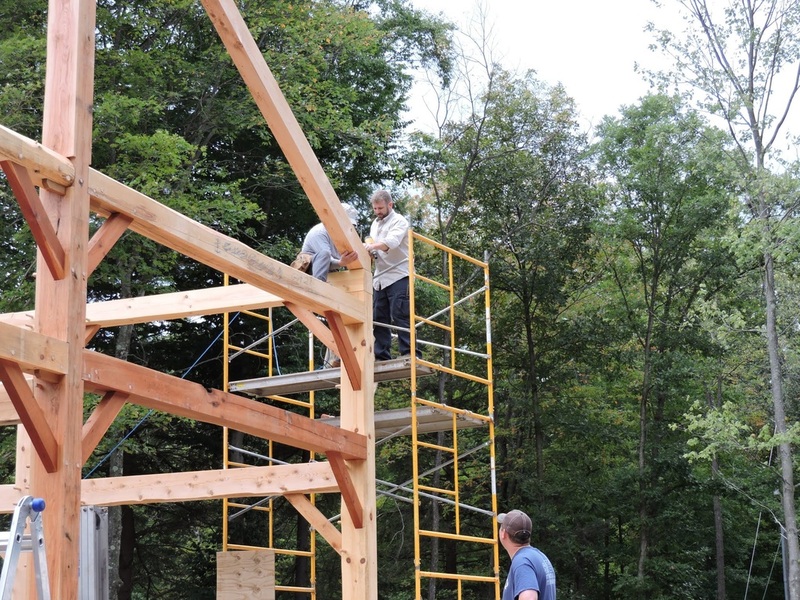 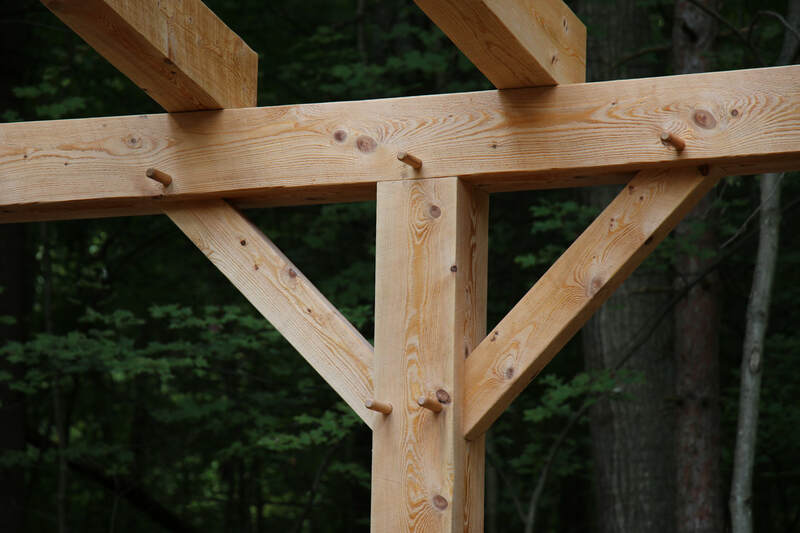 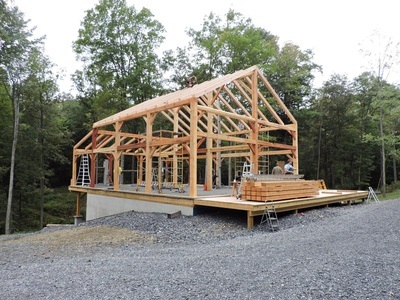 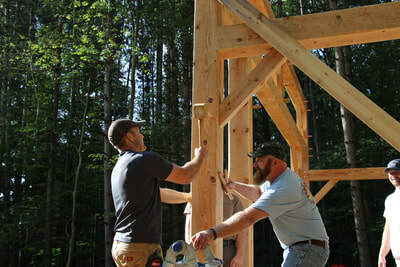 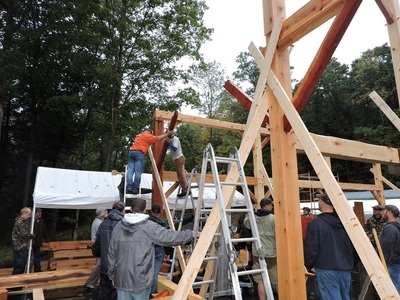 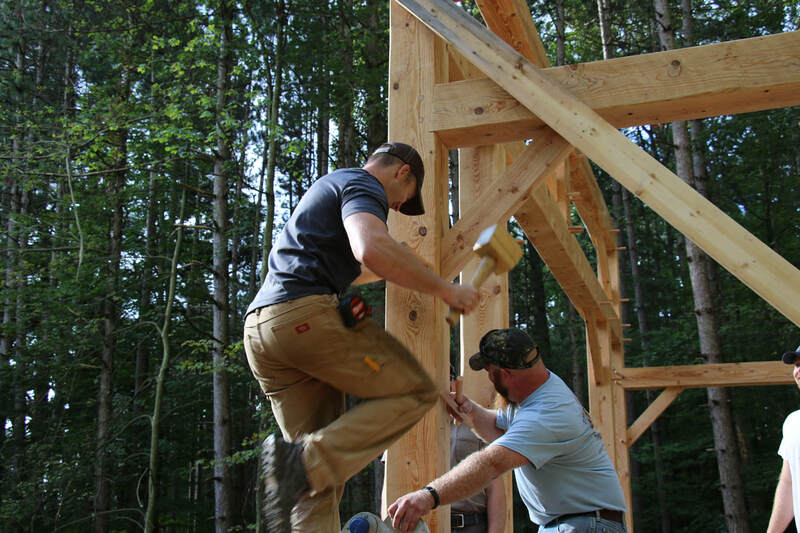 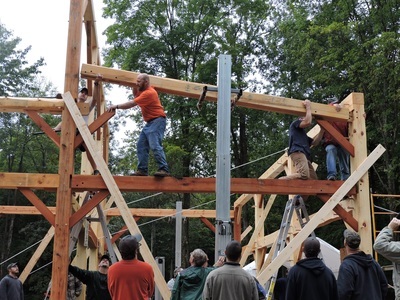 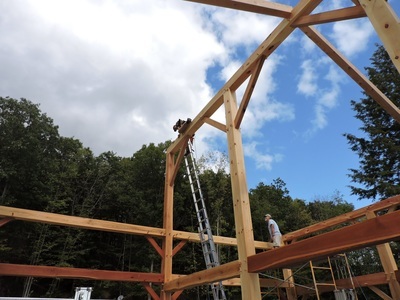 A timber frame addition for a log home. 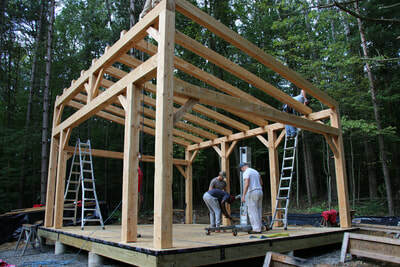 This is The Gully Shop. Built to accommodate the carving of frames of the same size, this is where I spend my days creating timber frames. The footprint of this frame is 28' by 32'.